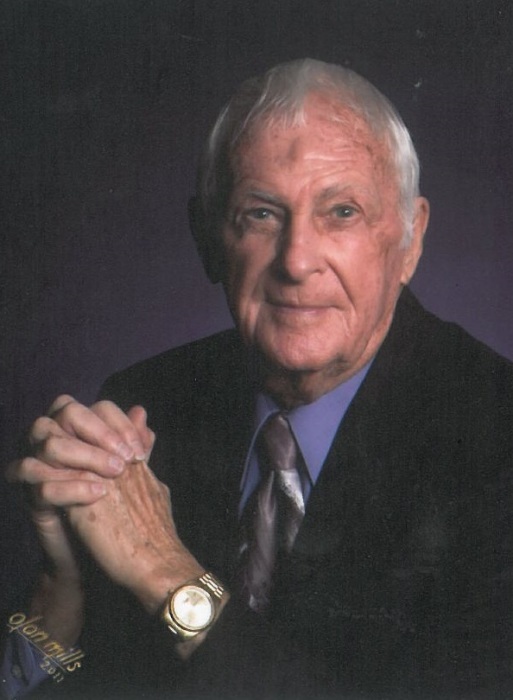 Dale E. Buttram, 88, of Avoca, Arkansas died Wednesday, March 20, at his daughter’s home in Rogers, AR. He was born May 7, 1930, in Warner, Oklahoma, to Louise and Harry Buttram. He proudly served in the United States Army, became a Master Sergeant and was Chief of Firing Battery during the Korean War. Dale was a faithful member of Grace Baptist Church, and had many great friends at Boundless Grace Baptist Church where he attended a weekly Bible study. He was proceeded in death by his parents; his brother, Ray Buttram; and a nephew, Scott Buttram. Dale is survived by his loving wife of 67 years, Yvonne “Joy” Buttram; his son, Jerry Buttram and wife, Marilyn Buttram; his daughter, Lisa Knaust and husband, Ron Knaust; five grandchildren, Shane Knaust and wife, Sabre, Lance Buttram, Matt Buttram, Aubrey Knaust, Nick Buttram, and three great-grandchildren, Jaedon Knaust, Josiah Knaust, and Selah Knaust. Visitation will be from 5:00PM until 7:00PM, Friday, March 22, 2019 at Boundless Grace Baptist Church in Little Flock, AR. Funeral services will be at 3:00PM, Saturday, March 23, 2019 at Boundless Grace Baptist Church with Pastor Joshua Ramsey officiating. Burial will follow at Benton County Memorial Park Cemetery. Military honors will be provided. Memorials may be made in memory of Dale Buttram to Grace Baptist Church, 2409 W New Hope Rd, Rogers, AR 72758 or Boundless Grace Baptist Church, 222 Little Flock Drive, Rogers, AR 72756.